Police have found a torn sick leave note for the date of the crashed Germanwings flight in the home of Andreas Lubitz, suspected of voluntarily bringing the plane down, Dusseldorf prosecutors say. 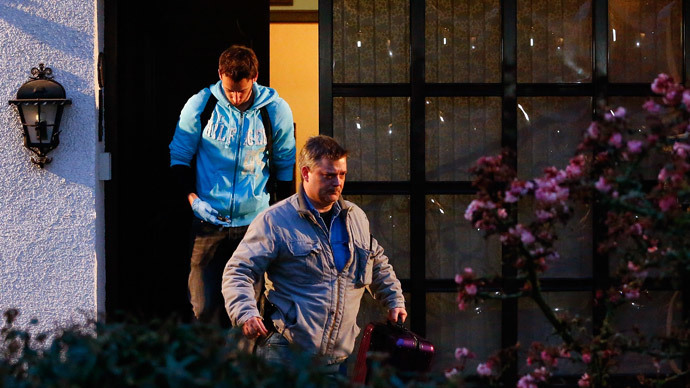 Prosecutors believe Lubitz could have been concealing his illness from the company. "Documents with medical contents were confiscated that point towards an existing illness and corresponding treatment by doctors," said the Prosecutors' Office in Dusseldorf, Reuters reports. "The fact there are sick notes saying he was unable to work, among other things, that were found torn up, which were recent and even from the day of the crime, support the assumption based on the preliminary examination that the deceased hid his illness from his employer and his professional colleagues," it said. It was not specified what medical condition exactly prompted Lubutz’s doctor to issue him a medical certificate. Prosecutors say evaluation of the documents will take some days. Prosecutors said Lubitz did not have political or religious motives for deliberately crashing the plane. They found no suicide note among his belongings. Police earlier said they had recovered a “significant clue” following searches in Lubitz’s apartment and his parents’ home. German daily Bild reported earlier on Friday that Lubitz had spent 18 months overall under psychiatric treatment. The newspaper also claimed it got access to Lubitz’s profile, indicating the pilot had “psychological problems” and required a "special, exemplary regular medical examination". Bild also cited sources familiar with the investigation, saying that Lubitz was suffering from a "personal life crisis," following a recent breakup with a girlfriend. Germanwings flight 4U 9525 was on its way from Barcelona to Dusseldorf on Tuesday, when it crashed in the French Alps, killing all 150 people on board. The data from a voice recorder found at the crash site suggests German co-pilot Andreas Lubitz, 28, likely brought the plane down voluntarily, French Prosecutor Brice Robin announced on Thursday.